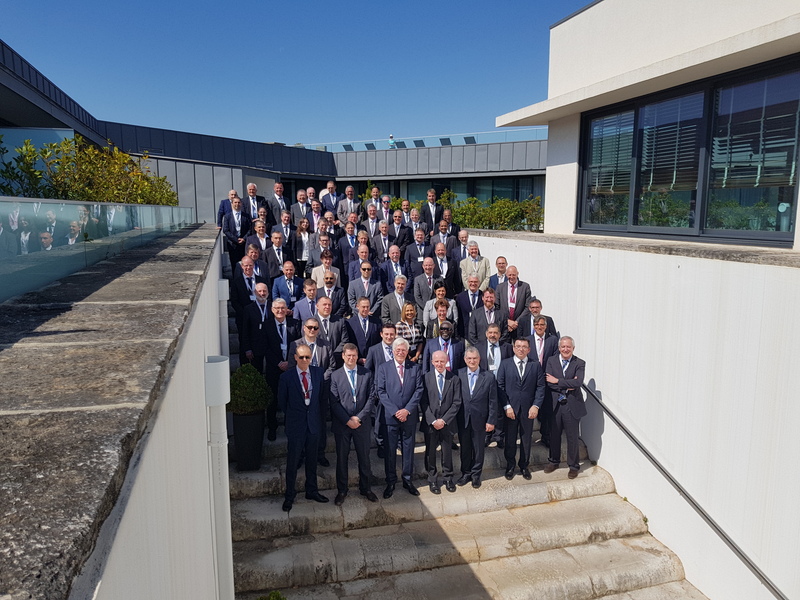 The Paris Memorandum of Understanding on Port State Control (Paris MoU) held its 51st Committee meeting in Cascais, Portugal, from the 7-11 May 2018, chaired by Mr. Brian Hogan. Anticipating the new maximum limits for sulphur in ships fuel oil, entering into force on 1 January 2020, the Paris MoU agreed to an information campaign by issuing a “Letter of Warning” starting 1 January 2019, to encourage timely compliance. Secretary General Richard Schiferli stated that this will be a signal to the industry that port State control will take enforcement of the new sulphur limits seriously from “day one”. The Committee also approved the questionnaire for the CIC on MARPOL Annex VI to be carried out jointly with the Tokyo MoU. The CIC aims at checking the compliance with requirements for the prevention of air pollution from ships. The CIC will be carried out from September to November 2018 and the questionnaire will be published in August. As part of a review of the current inspection regime, significant progress was made with a new methodology for calculating flag State and recognized organization (RO) performance, used for targeting ships for inspection. The Paris MoU considered the “Ministerial Declaration” signed during the 3rd Joint Ministerial Conference between the Paris and Tokyo MoUs held in Vancouver last year and agreed on a course of action to implement the decisions. High importance was given to the report of the Concentrated Inspection Campaign (CIC) on Safety of Navigation, including ECDIS1. The CIC was carried out from September to November 2017. The general conclusion was that the results show a good overall implementation of the requirements on board the ships inspected, although voyage planning remains an area of concern. The Committee adopted the 2017 Annual Report, including the White, Grey and Black List and the performance list of recognized organizations. The lists will be published in early June and used for targeting purposes from 1 July 2018. The Annual Report will be published in July this year. The number of ships which have been refused access to the Paris MoU region after multiple detentions has increased from 20 in 2016 to 33 in 2017 and is a threefold increase over the number in 2015. Chairman Mr. Brian Hogan thanked the Secretary General Mr. Richard Schiferli for his accomplishments over the past 21 years. In this regard the Committee expressed deep gratitude for the services of Mr Schiferli and wished him well on his forthcoming retirement. The meeting was attended by members of the Paris MoU, the European Commission, EMSA, Montenegro, observers from the International Labour Organization, the International Maritime Organization, US Coast Guard, Tokyo MoU, Caribbean MoU, Mediterranean MoU, Black Sea MoU and Indian Ocean MoU. On behalf of the member State Authorities, Mr. Hogan concluded the meeting by remarking that significant progress has been made on port State control issues during this meeting. He thanked all member State Authorities, the European Commission, EMSA and the Paris MoU Secretariat for their contribution. In particular Mr. Hogan thanked the Maritime Administration of Portugal, for the excellent arrangements they made for this Committee meeting.